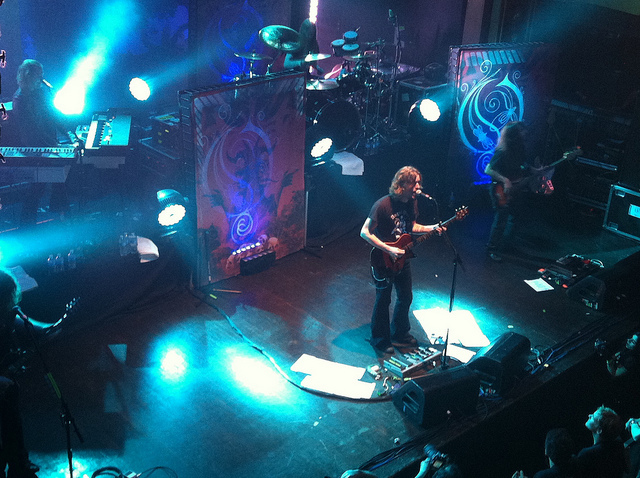 On Monday, I had no plans to see Opeth and Katatonia over their two-night stint at Webster Hall. But the latter's publicist made me an offer I couldn't refuse... so there I was, interviewing Katatonia for HighTimes.com backstage during the headliner's set when one of my most beloved songs, "Face of Melinda," began. In my head, I kept thinking, 'It's OK, you've seen them do it live before.' But in reality, it wasn't. 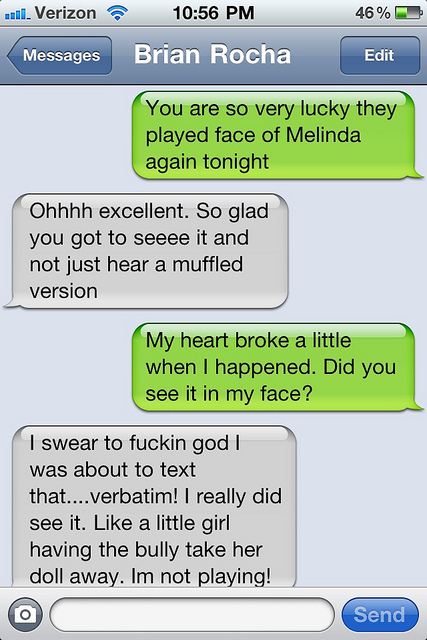 So I thank Brian Rocha for trying to hook me up with the second show so I could hear it. Below is our text message exchange. And thanks to Opeth and Katatonia for both putting on such compelling performances. Someone needs to make a best-of reel of Mikael Akerfeldt's hilarious between-song banter.